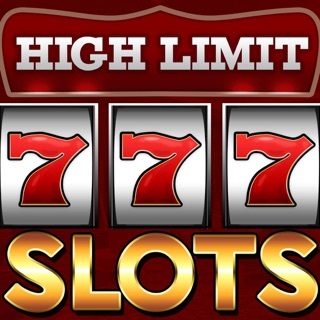 This app used to be my favorite casino game to play. I don’t know what’s happened over time but it’s no longer fun to play when you can’t get any bonuses, no big wins and end up losing all of winnings faster than you win anything. The games are great games but it feels impossible to win anymore. Every update says your making improvements and making it more fun for the players. I keep hoping to find truth in this and therefore keep playing giving you the benefit of the doubt. At one point I had over a billion coins. Now I can’t keep it over a hundred million. I’m very sad bc I feel like I’m going to have to delete this app soon. I can’t afford to keep buying coins and not seeing any payoffs in return large enough to keep me interested or keep me wanting to play. It’s not fun when you play a game for hours and don’t hit one bonus or large win in all that time. Also, the prizes for getting “big wins” really aren’t worth much. Come on guys, start giving back to your loyal players who have been with you for the long haul and faithful, daily players. I don’t mind buying coins once in awhile but when I have to buy more than I’m winning, I might as well be spending my money on a real casino app where I have a chance to win real money back. This is suppose to be for fun. Where’s the fun??? 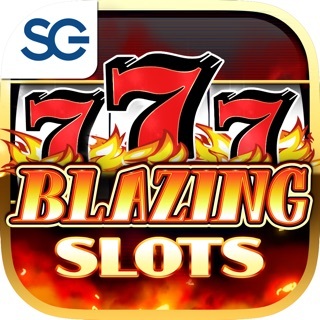 What happened to the fun and excitement of this app that made it the best free casino app at one time?? Disappointed is all I can say. Graphic designers are the bomb Diggity! The experience is like being in a real casino playing your favorite games. However.... anyone who has a budget for online gaming needs to be 100% aware that even in casino slots are rigged...we all know that. To keep you playing on this site or any site , YOU MUST PAY on this site to get the Experience! If you do not pay then you don’t play. The problem I have with this is...going to a real casino you go with a budget in mind & play until REALITY of your money is matched or a certain percentage below or above. Online gaming is different. You pay to continue to play and have the experience but in the end you just get points you do not get real money that is a given for any online gaming casino game. At least going to a real casino you might break even if you’re lucky win above your budget. Online gaming is NOT Reality. You GIVE to keep playing & GIVE to NOT win real money. But “BUDGET” is out the door because they “nickel & dime” you to keep you “pushing” the $4.99 (extra points) button. You will not win real money on these sites so if want to Chill’ax & play for FREE...this is NOT your choice. I am NOT Paid to say this I just LOVE Love to play & any money I spend is NOT for making other people RICH! I play to relax as if I was playing a word game...this is Not a FUN game to keep if your wanting a REAL EXPERIENCE in gaming without ACTUAL REWARDS!!!!! Let me first start by saying that I am at level 463, I’ve been playing this game and purchase coins every few days. Over the Christmas holiday, I purchased a larger than normal coin package and also bet higher than usual. While in the Wizard game(betting 10 million a hand) I won a jackpot of 1.8 Billion, which if added to my account would have put me at over 3billion coins. The coins didn’t add to my account so I immediately contacted support with a full description of what happened. Shortly there after I received an email response that they had received my ticket and after their investigation they would respond accordingly. A week or so went by and no response, they did however respond to my second request on another issue (double charging). I send a second request with no response this morning I filed a THIRD request for a follow and was told that unless I could provide a screen shot, there would be no further inquiry into my ticket. How do you screenshot the failure of coins to be deposited on a winning? If the game is still going? I have bought a significant amount of coins and as another reviewer wrote the winnings are few and far between. (Haven’t won a jackpot since that day) I guess Jackpot Party got big and now they’ve forgotten the very people that made them big.